Shubhankar Sharma finished the opening round as the best ranked Indian in the field at TPC Kuala Lumpur and stood T-14 yesterday, today he went ahead and could have easily been the lone leader of the field but finished T-3 with a fiery 64 for the day, a round consisting of nine birdies and just a bogey on the par-4 second. Some interesting stats from his round included 26 putts – second best in the field, an average of 83.33% for greens in regulation and 64.29% of fairways hits, not great from the fairways stats part but surely a good start to look forward to. 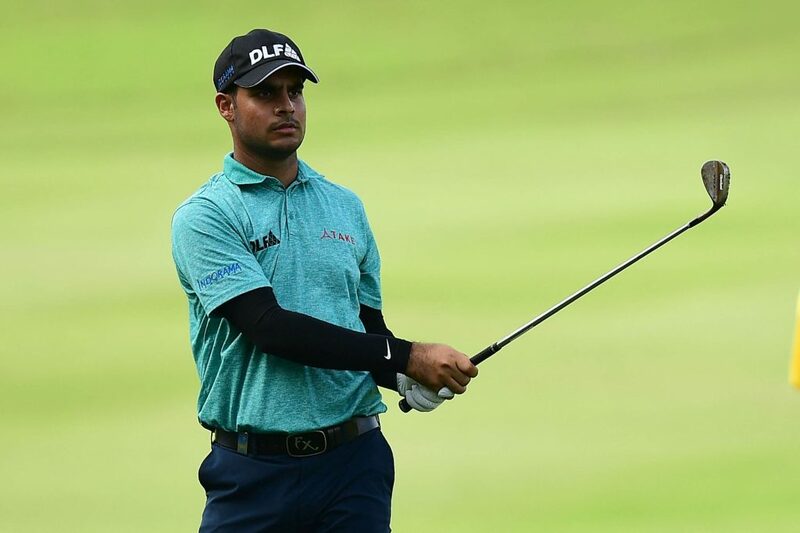 Shubhankar Sharma birdied his closing two holes for a sparkling eight-under-par 64 to trail the second round leaders Gary Woodland and Marc Leishman by one-shot at the CIMB Classic on Friday. This is Sharma’s first outing at the CIMB Classic and is surely looking ahead to break Lahiri’s record of T-3 at the 2016 CIMB Classic. Gary Woodland the rounds leader shot an energetic 61 to tie the course record and is joined by the Australian Marc Leishman who too looked close to shooting a 61 but managed to put a 62 on his card for a share of the lead. Joining Sharma for the third place on the board is Paul Casey, who last won in March at the Valspar Championship, a win for which he waited for over nine years. Opening round leader Bronson Burgoon dropped to T-5 with a five-under 67 for the day and is joined by compatriot Scott Piercy and Austin Cook. The defending champion Pat Perez stands T-36 with three-under 69 for the day along with India’s star player Gaganjeet Bhullar, Jason Dufner, Jamie Lovemark, Thomas Pieters, and Satoshi Kodaira. 2015 and 2016 winner of the event, Justin Thomas stands T-15 with three-under 69 for the day, taking his total to nine-under 135.